20/20 Vision for Schools is sponsoring two Level 1 trainings next week to empower individuals to make the case for adopting schools at their churches. 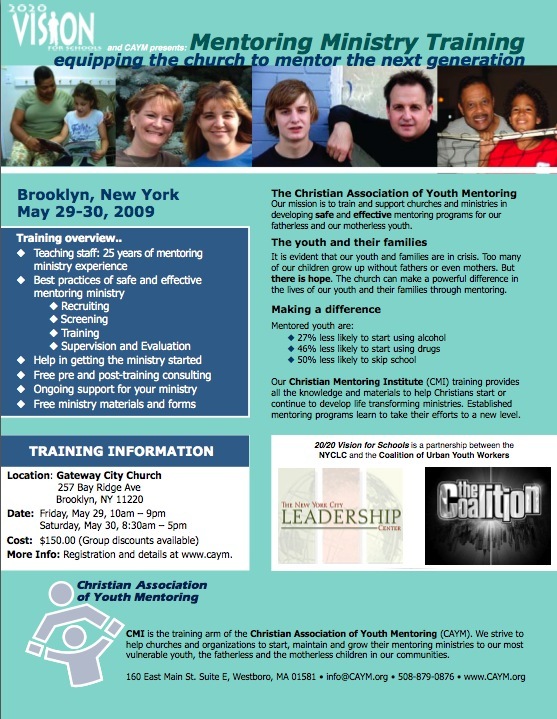 BONUS: Don’t forget the LEVEL 3 Mentoring training May 29-30. Scholarships available. Email Edwin Pacheco for details.